Artistic illustration of Earth and Mars. Voyager Golden Record This gold aluminium cover was designed to protect the Voyager 1 and 2 "Sounds of Earth" gold-plated records from micrometeorite bombardment, but also serves a double purpose in providing the finder a key to playing the record. The explanatory diagram appears on both the inner and outer surfaces of the cover, as the outer diagram will be eroded in time. Flying board Voyagers 1 and 2 are identical "golden" records, carrying the story of Earth far into deep space. The 12 inch gold-plated copper discs contain greetings in 60 languages, samples of music from different cultures and eras, and natural and man-made sounds from Earth. They also contain electronic information that an advanced technological civilization could convert into diagrams and photographs. The cover of each gold plated aluminum jacket, designed to protect the record from micrometeorite bombardment, also serves a double purpose in providing the finder a key to playing the record. The record placed aboard the Voyager probe at the James Lee Record Processing Company in Gardena, California. A copy of the record on display at the Udvar-Hazy Center in Washington Dulles International Airport, Chantilly, Virginia, USA. Gold-Plated Record is attached to Voager 1. The title of the record is Sound of Earth. Humanity's farthest and longest-lived spacecraft are celebrating 40 years in August and September 2017. The Voyager spacecraft were built by JPL, which continues to operate both. Explanation of the Voyager record cover diagram, as provided by NASA. Flying aboard Voyagers 1 and 2 are identical "golden" records, carrying the story of Earth far into deep space. The 12 inch gold-plated copper discs contain greetings in 60 languages, samples of music from different cultures and eras, and natural and man-made sounds from Earth. They also contain electronic information that an advanced technological civilization could convert into diagrams and photographs. Currently, both Voyager probes are sailing adrift in the black sea of interplanetary space, flying towards the outmost border of our solar system. This image depicts a woman at a supermarket. It is part of the image collection on the Voyager Golden Record that is being carried into deep space aboard the Voyager 1 and 2 spacecrafts. The low quality and resolution is due to the limitations of the format used on the record but it is what will be seen by an extraterrestrial intelligent life form if the probes ever gets discovered. This is a photograph of Jupiter. It is part of the image collection on the Voyager Golden Record that is being carried into deep space aboard the Voyager 1 and 2 spacecrafts. The low quality and resolution is due to the limitations of the format used on the record but it is what will be seen by an extraterrestrial intelligent life form if the probes ever gets discovered. It is part of the image collection on the Voyager Golden Record that is being carried into deep space aboard the Voyager 1 and 2 spacecrafts. The low quality and resolution is due to the limitations of the format used on the record but it is what will be seen by an extraterrestrial intelligent life form if the probes ever gets discovered. Left to right: Woman licking an ice cream cone; man eating a sandwich, man pouring water into his mouth from a porron type vessel. It is part of the image collection on the Voyager Golden Record that is being carried into deep space aboard the Voyager 1 and 2 spacecrafts. The low quality and resolution is due to the limitations of the format used on the record but it is what will be seen by an extraterrestrial intelligent life form if the probes ever gets discovered. This image is a photograph of page 6 from Isaac Newton's Philosophiæ Naturalis Principia Mathematica Volume 3, De mundi systemate (On the system of the world) It is part of the image collection on the Voyager Golden Record that is being carried into deep space aboard the Voyager 1 and 2 spacecrafts. The low quality and resolution is due to the limitations of the format used on the record but it is what will be seen by an extraterrestrial intelligent life form if the probes ever gets discovered. Annotated with chemical composition of Earth's atmosphere. It is part of the image collection on the Voyager Golden Record that is being carried into deep space aboard the Voyager 1 and 2 spacecrafts. The low quality and resolution is due to the limitations of the format used on the record but it is what will be seen by an extraterrestrial intelligent life form if the probes ever gets discovered. 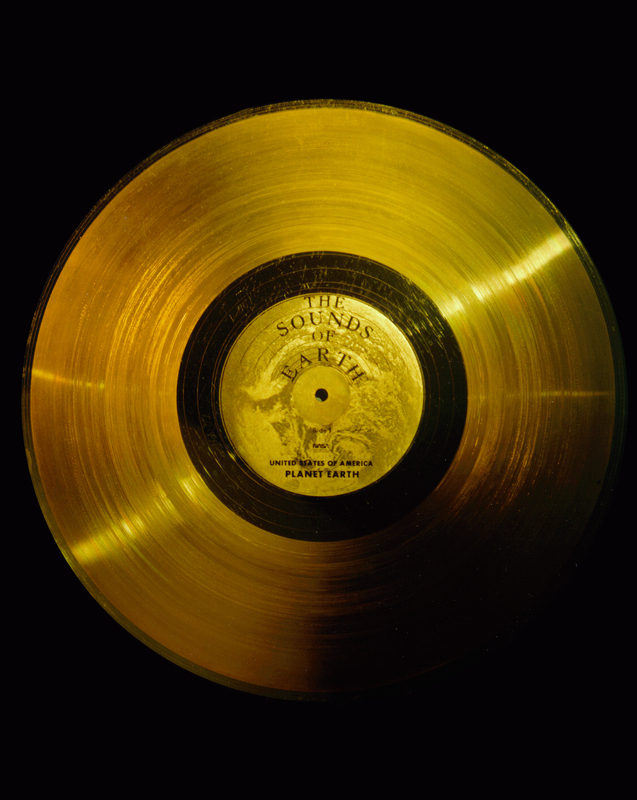 The phonograph album, the “Voyager Golden Record”, features music by J.S. Bach and Chuck Berry as well as sounds from humpback whales and greetings in 55 languages. NASA launched two copies of the album into space in 1977 on its Voyager 1 and 2 spacecrafts in the hope that it would be picked up by extraterrestrials. Until recently, the album was only accessible to donors of a Kickstarter campaign by Ozma Records, which raised nearly $1.4 million to issue a limited number of copies on vinyl. On the back of its success, the record label has decided to release the album to the general public and will be producing a vinyl edition at the end of January 2018. The original album is still floating in space and should be in perfect condition. It was made from copper and coated with gold to protect it from the extreme temperatures and radiation in the atmosphere. NASA said its scientists also electronically encoded 115 images on the record, such as photographs of a mother nursing her child, an astronaut floating in space and a violin with sheet music. The American space agency said the mix tape was “intended to communicate a story of our world to extraterrestrials”. NASA printed directions on how to play the record to its cover along with a dedication: “To the makers of music — all worlds, all times.” However, they did not include a record player to allow any potential aliens to play the tape. 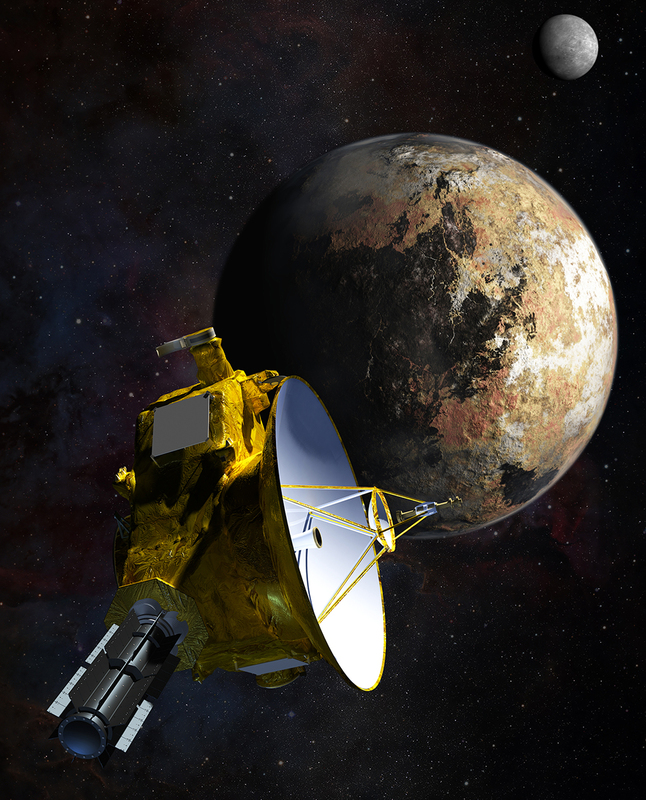 The chances of aliens finding the Voyagers in the vast emptiness of space are small — some say infinitesimal — but we took our jobs seriously, said Ann Druyan, the project's creative director, in a NASA article. From the moment when [Sagan] first broached the project to Tim Ferris and me, it felt mythic. At the time, the then US president Jimmy Carter outlined the album's purpose for the nation. The record, he said, would send a message from Earth to "galactic civilisations" with a snapshot of the planet's history. This is a present from a small distant world, a token of our sounds, our science, our images, our music, our thoughts, and our feelings, President Carter’s said in a statement. We are attempting to survive our time so we may live into yours. We hope someday, having solved the problems we face, to join a community of galactic civilizations. Kickstarter.com by Ozma Records - The Voyager Golden Record was a gift from humanity to the cosmos. And it is also a gift to humanity.